On this very cold winter morning, after shoveling the driveway. 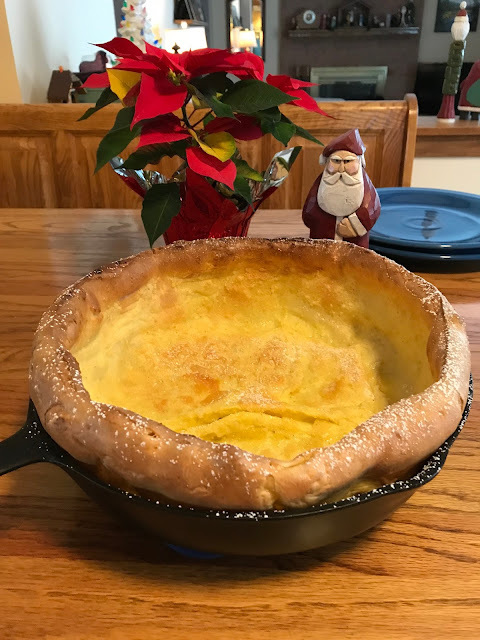 I made some German pancakes just like my Grandma Lehner made for me 50+ years ago.... Yeah, they taste as good as they look, just ask my wife.... Boy that breakfast sure brings back memories. 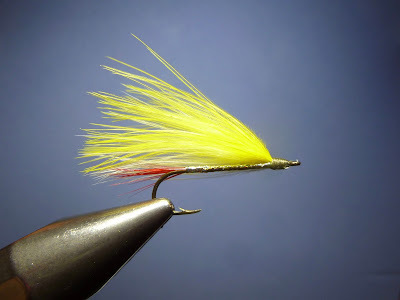 Hi friends, this is a Frank Sawyer fly pattern variation that I've fished for many years. 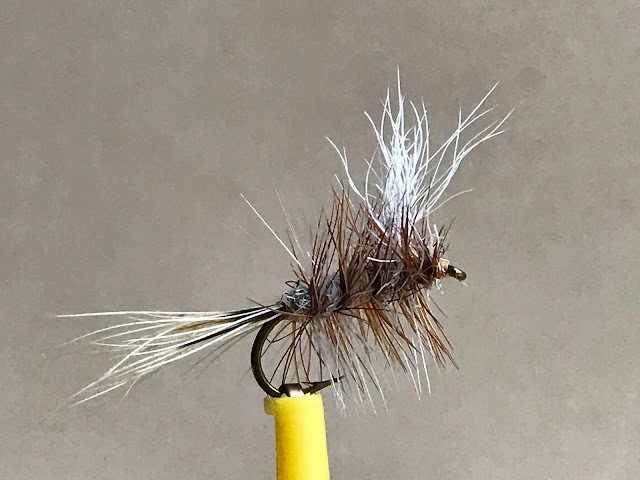 Davey McPhail has an excellent video showing the tying steps here: https://www.youtube.com/watch?v=Ogp5F7bmVcA&t=0s I tie them the same way Davey does in pheasant-tail to imitate mayfly nymphs but also in turkey-tail to imitate the small early stone fly nymphs here in NY. 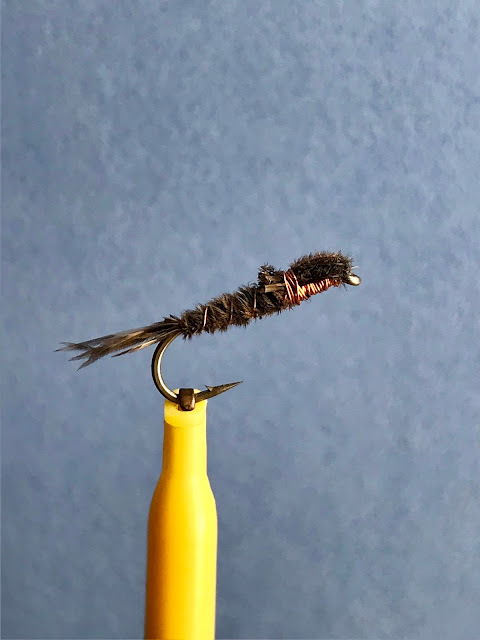 They are fast and easy to tie using just XS or SM Uni-copper wire along with your choice of tail material and a nymph #14 1XL hook. 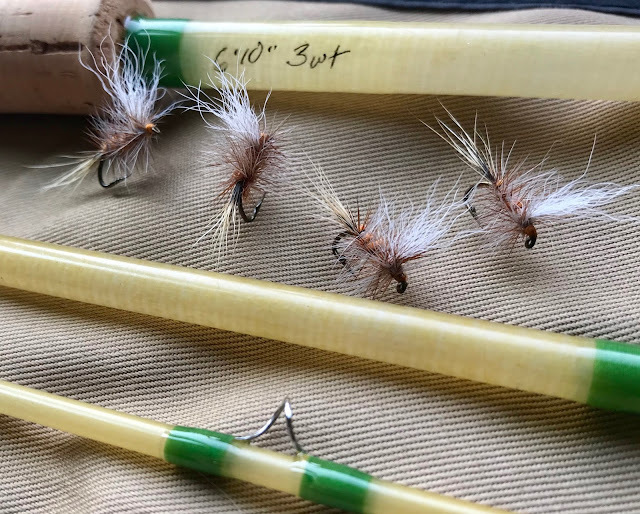 A friend gave me two old fly rods awhile ago. Today, I dug them out and got to work on them. One is a Horrocks and Ibbotson Featherlight and the other is a Kingfisher Fly Rod both 8 1/2' long. 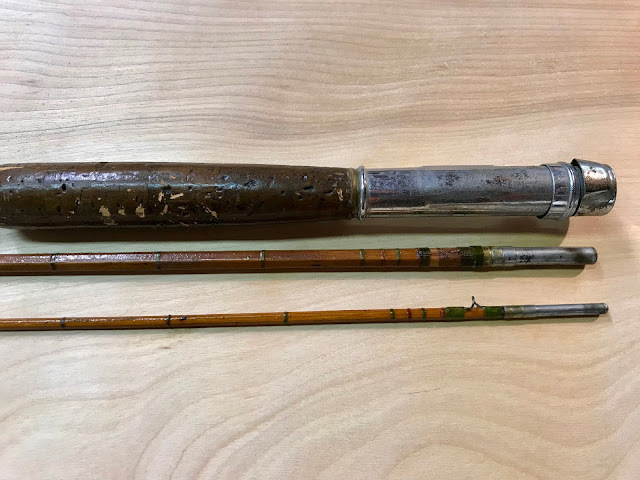 Both will be stripped and rebuilt as "user" fly rods.... The good news is all the bamboo seems to be in fairly good shape. 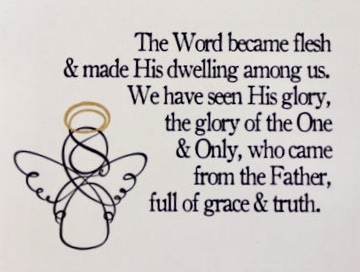 I am starting with the H and I. 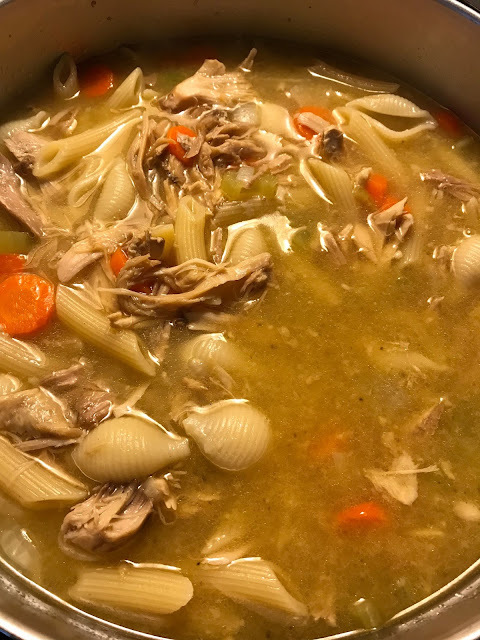 Nothing like good old turkey soup after Thanksgiving.... It's a task I enjoy each year. UK Bomber fly - the body is made with sheeps' wool that I collected from the Lake District in England..... 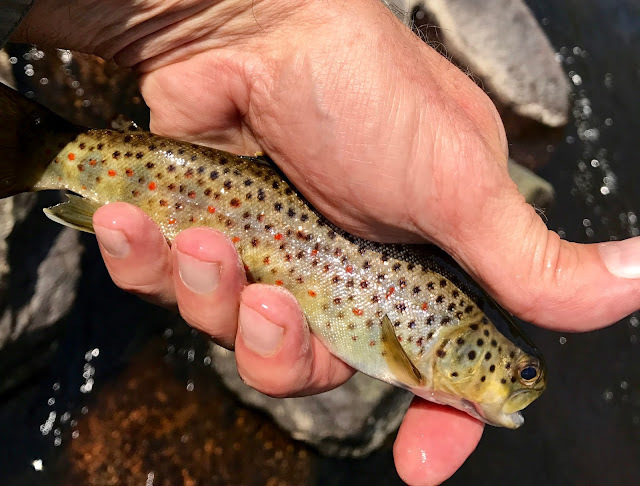 Some folks will get to fish these flies in Montana next year for wild brook trout.... Lucky them! 7 pointer - Cherry Creek, NY .... 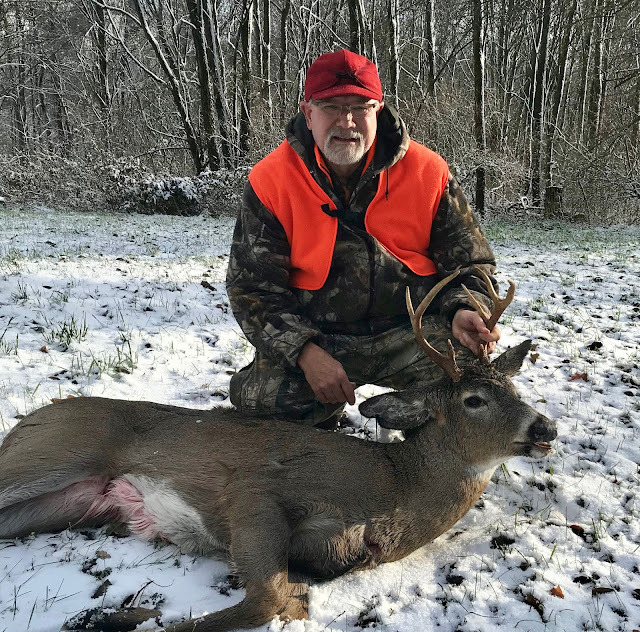 I was very lucky on this buck.... 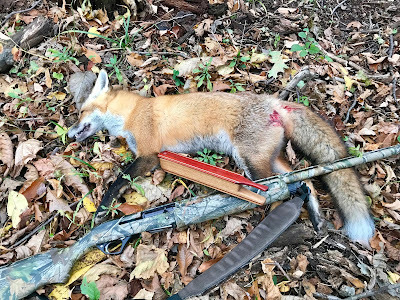 He was wounded and I was able to put him down.... He will be some good eating. 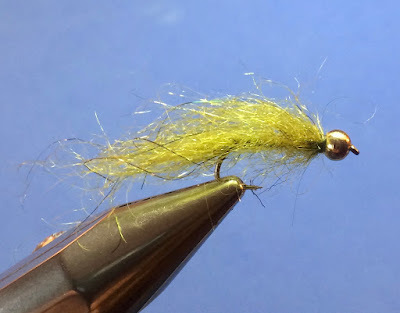 Tying up some Fran Betters Bombers today, just for fun.... Looking forward to chasing the Brookies here in NY and out West in Montana in 2018... also, getting packed up for Deer Camp this afternoon with Opening Day of the Gun Season on Saturday. It's suppose to be cold and wet! 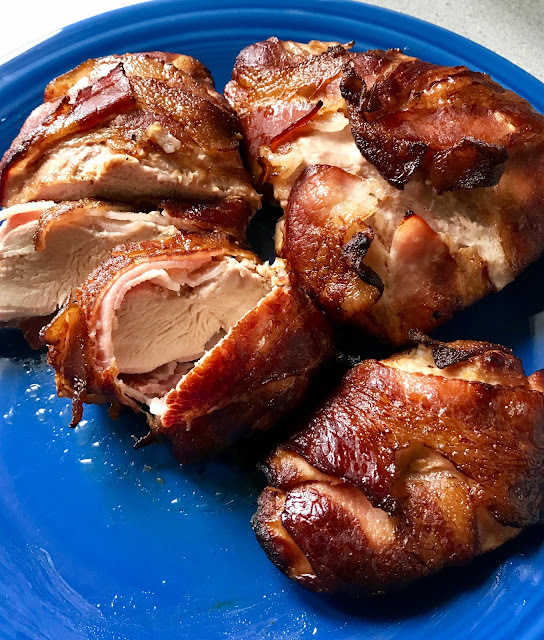 Wild turkey breast wrapped in bacon and done long and slow on the PK grill, nothin like it. Doug Korn Custom Turkey Trumpet. 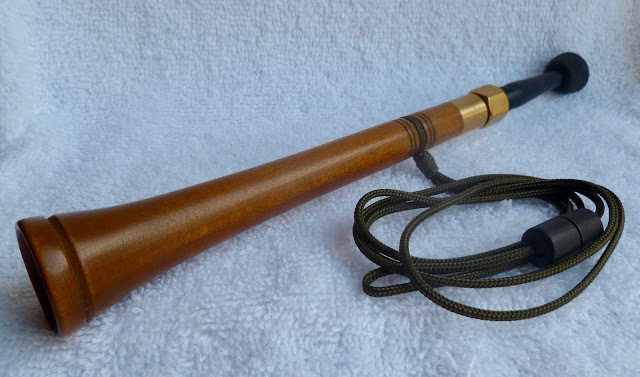 Here's a new DKW Custom Trumpet with removable mouth piece I made recently that's for sale at my web site, see below. It's made of Stained Maple and has the optional removable mouth piece system. 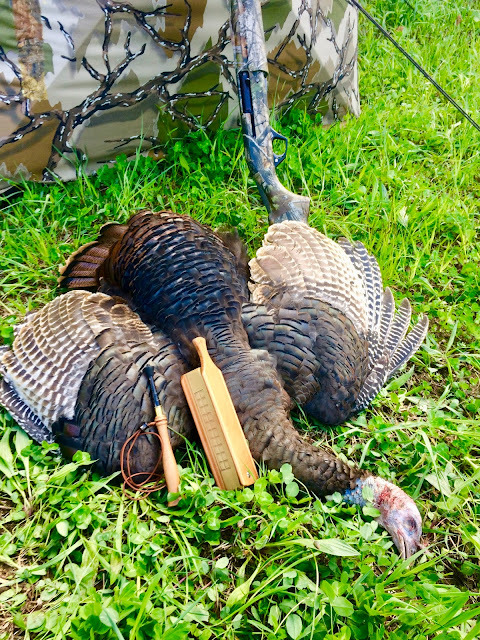 Different mouth pieces can be obtained to produce old and young hens and even gobblers.